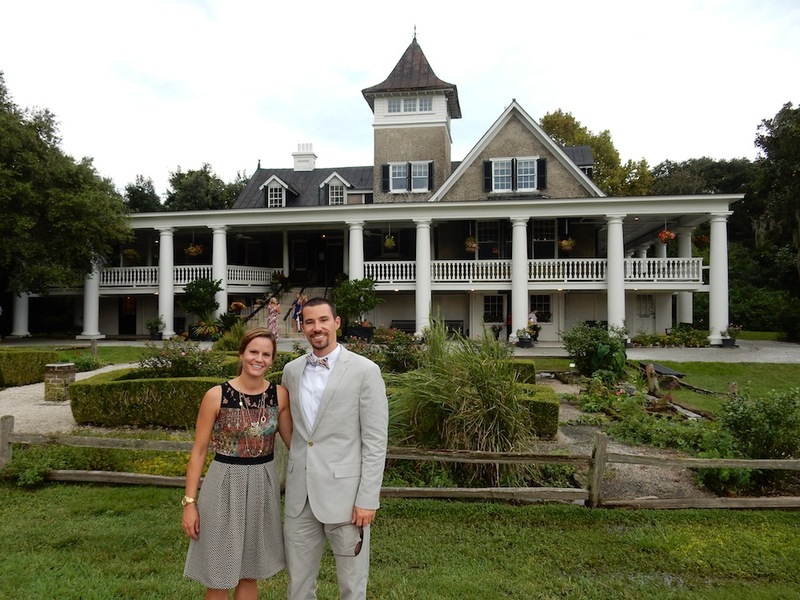 Recently, I had the good fortune of attending a wedding in Charleston, South Carolina. While the destination puzzled me at first, I soon realized what a great opportunity it would be to explore a city I hadn’t thought of. That crafty couple, that was their intention all along. Ryan and I figured if we were making the trip down, we might as well really take advantage of the time, and stay an extra day. I’m so glad we did, as after all the festivities were over, we had more time to explore. It was a long weekend well spent. Not to mention how beautiful the wedding was, and how much fun. Being the planner I am, I ordered a guidebook online from the Charleston Area Convention & Visitors Bureau. After perusing their website, I fell for their tagline “The only reason it’s not a best seller is because it’s free” regarding the Visitors Guide. After that arrived in the mail, I was even more excited for the trip. It was happening. Charleston is a great city for a long weekend – I say this because everything in the historic district is easily accessible, and there is plenty to do – but not SO much you feel you’ve only scratched the surface. We were able to fit in a pretty good amount of exploring – and that was with our Friday and Saturday evenings accounted for with wedding festivities. I would like to visit again to see a few museums, take a history tour of the city itself, and try a few more restaurants. I’d also like to really explore a plantation outside the city. As it was, this trip featured a lot of “urban hiking” – exploring with only a vague idea of where we were going – and eating/drinking. All of which were fantastic. The architecture, colors, and landscaping are all so different from the north, the environment was really captivating. I’ll never tire at the marvel of flying a couple hours and being in a place that feels so completely foreign. The area is packed with history, there is as much or as little to learn about as you’d like. We visited the Fort Sumter National Monument, and opted to take the ferry out to the fort itself – the whole endeavor was a few hours, but was really engaging. The views of the city from the ferry are excellent, too. Something I definitely recommend to anyone thinking of going: Spend a day just wandering around. Nothing structured, nothing planned – just go. Sure, grab a map or drop a pin in Google maps so you know how to get back to your hotel, but other than that, wander the streets. King Street, Market Street, the Battery – wear comfortable shoes and “hike” all day. It was beautiful, unexpected, memorable. I’m grateful to our friends for extending the invitation, not only to their special day, but to this fantastic city. Being in town for a wedding, these were the two venues I was exposed to – there are LOTS of other options, but look for something close to King Street or Market Street, for the best walking opportunities. Holiday Inn Charleston Historic Downtown – Pretty good location, and the hotel is very clean and modern inside, with a bar/restaurant, outdoor pool, and friendly staff. It’s not right in the action, but close enough for the price. Renaissance Charleston Historic District – This hotel is larger than the Holiday Inn, and a little closer to the upscale action. They also have complimentary bike rental. Bar/restaurant, and outdoor pool. Fleet Landing – Awesome spot right on the water, in the water, actually. They have a back deck with amazing views, and the entire restaurant is windows. The food and cocktails were a welcome reprieve from the heat after walking around. The Rare Bit – Such great decor, worth the visit alone. Swanky mid-century modern, but comfortable – not fussy. We had brunch here, which was pretty delicious. Boone’s Bar – A great space to meet old friends (we did, as everyone arrived in town for the wedding), or, if you stay late enough, find some new ones. Extensive bourbon and cocktail menu. Nick’s BBQ (Southern US chain, of Jim N’ Nick’s) – Not seafood fans, but BBQ fans, Ryan and I saw this on King Street and knew we’d be stopping in. It’s an order-at-the-counter kind of place, but with great decor. Pretty tasty, too.